Talking about F1: The F1 blog: F1 2016 Season Preview: Force India - Indian summer? 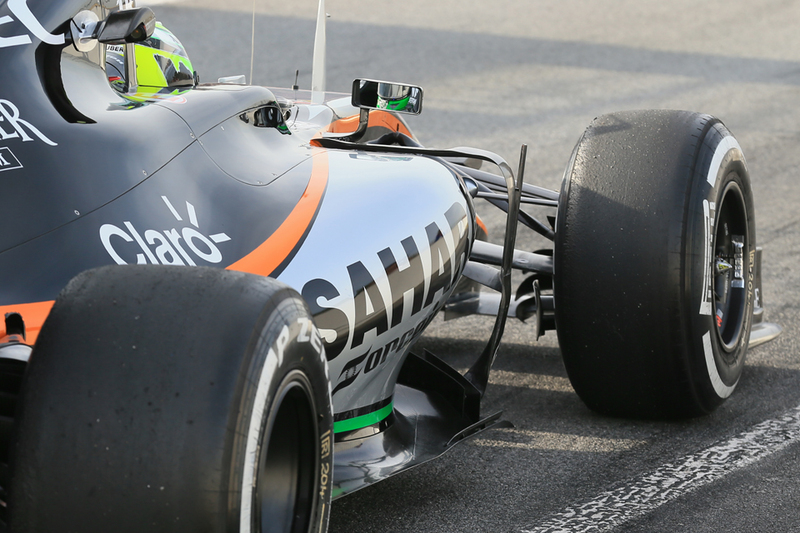 Force India didn't even start the 2015 campaign auspiciously. Indeed it was late to bring a 2015 machine to testing and even then the proper 2015 car didn't appear until mid-year. The delay was related to a jam tomorrow decision by the squad to freeze things and put all resource into the development of the car in the Toyota windtunnel in Cologne, which it didn't have access to until 1st of January. There also were 'cashflow issues' exacerbated by suppliers being made more nervous by Marussia and Caterham's respective problems and therefore required more of an upfront payment. This nevertheless gave rise to the odd knowing mutter that this was Force India's financial chickens coming home to roost finally. The old car took part in the first two tests and when the VJM08 did indeed appear it was essentially the 2014 car adapted to the revised nose regulations. But still both drivers bagged useful points in the meantime, then when the 2015 car proper appeared mid-season - the distinctive looking VJM08B with its nostril design intended to promote airflow underneath the car without sailing too close to the wind on passing the crash test - again there were teething troubles (including embarrassing structural failures in Hungary). Yet after the summer break it became obvious that the thing represented a big step forward. It was almost a stick-on Q3 presence and there were many good results too, particularly in Sergio Perez's hands. With the fifth position in the constructors' table claimed the team's technical director Andrew Green summed the achievement up: "We set ourselves targets to beat teams we shouldn't be beating and make them look a bit silly. When you do, it sends a shiver down your back". As intimated McLaren and Lotus/Renault had to varying degrees a desperate time last season and surely cannot be so bad again in 2016. And all of the teams ahead of Force India have larger budgets and Williams aside have much larger budgets. And perhaps here lies our explanation to the conundrum outlined at the start, that we don't spend much time speculating about where Force India can go as it already is operating in its very outer reaches of potential, and has been for a while. It's perhaps an unfortunate consequence of this sport's tendency to look only ahead. But you know what? We might have to learn to pay them more attention, as while the opening 2016 pre-season test for the most part didn't tell us much we couldn't have guessed anyway - Mercedes still on top, Ferrari closed in a bit, Renault playing catch up, McLaren-Honda playing a lot of catch up - there was one genuine surprise. Force India looked like it had really stepped up the order. It even topped a day's running as well as in so doing set the second fastest time of the whole test, just three tenths off Sebastian Vettel's best, and did it on the supersofts rather than the ultrasofts. There was the odd mutter that this team has been known to fill up with fuel less than others in tests, particularly as the best time mentioned was set on a single-flyer quali run. Particularly too as Nico Hulkenberg suggested caution might be advisable when interpreting the times. Particularly also as the VJM09 while neat and tidy didn't appear to have anything especially radical on it. It is true also that its longer runs have been harder to read, while some insiders report its headline times flatter the car slightly. But there is a general acceptance that at least something tangible is going on also, and that the Force India right now is in the fight for best of the rest behind Merc and Ferrari. And as outlined even if the car is an evolution only it had a fine basis on which to build from the VJM08B; Perez indeed ended last season with a qualifying time only a tenth off a Ferrari. He also was much more positive than his stable mate in his words in testing. "If you compare where we were last year, it's a couple of seconds difference, already" he said. "We are in a much better position than we were last year, so I'm very optimistic." There will always be F1 drivers that divide opinion, yet Sergio Perez in his time at the sport's pinnacle has sent observers into opposing camps more than most. It's unsurprising too given his rather conspicuous peaks and valleys. We've known for a while that he is possessed of an extraordinary ability to get longevity from the tyres, as well as is feisty in both on-track attack and defence. Sometimes these things have come together to give him superb individual race results. And his association with Mexican investment ensures presumably his place on the grid for as long as he wants it. But what about his consistency? And what Niki Lauda would call his 'ground speed'? Does he err too often also? But last season, particularly the latter part, we finally got something like clarity. 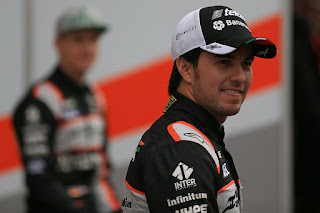 And a good clarity for Checo as at last it seemed he was retaining the good parts of his repertoire and getting it right on the parts that people had doubted him on. The first part of the year was fairly good but still had a more-of-the-same air for him - his Monaco weekend was brilliant, as he was Bahrain and Canada, but the rest was less impressive and there was the odd clumsy error. But after the summer break he made a set-up breakthrough with the B spec car apparently and never looked back, indeed right away in Belgium he led ever so briefly. In the season's latter part only the top five scored more and Checo decisively topped his team mate in the final points standings. He even notched another podium appearance, in Russia. As for what explained it, the doubters could suggest that perhaps not for the first time the voodoo Pirellis aligned in his favour, but whatever else was going on that he out-qualified the rapid Nico Hulkenberg six to three in that period suggests it was not down to a mere exercise in tyre conservation. His crowning glory arguably, even more than his Sochi podium, was qualifying a tenth off Kimi Raikkonen in the final round in Abu Dhabi. His team believed it is all as straightforward as his confidence building up over time, particularly on a qualifying lap. And of course, good results will always have a self-affirming effect in of themselves. Perez has steel clearly. His assurance and frankness in conversation hints at it but that he's responded so determinedly after his humiliation at and by McLaren in 2013 proves as much. This has served him well. And whatever it was he was doing in late 2015, he should keep doing it. Those who decide who fills F1's plumb drives must have been about the only ones with a view who didn't rate Nico Hulkenberg. For years he produced consistent strong results and stunningly fast and rugged performances; most found his repeated shunning by the top teams unfathomable. But 2015 was a little different - for about the first time in his F1 career there was a feeling of could do better. He was outscored by his team mate Sergio Perez and that didn't feel flattering to the Mexican. For much of the first part of the year Hulk gave the impression of biding his time for the B spec Force India. Then later in the year when the B spec car had arrived and Checo was beating him he didn't have much of a coherent explanation. We can sympathise with him, and not just because as outlined his big break has been oddly non-forthcoming. 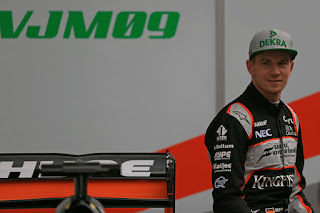 If his team mate is possibly the gentlest on the Pirelli tyres in the field then Hulkenberg is possibly the hardest, and this is about the last thing you need in this peculiar age of designed-to-degrade rubber. This compromised him several times indeed in 2016 either in necessitating extra stops or requiring him to time them less favourably. And on the days that tyre life wasn't a factor Hulk was often transformed, such as in Silverstone where he vaulted several places at the start then ran not too off the Ferraris and Daniil Kyvat for the most part. His races at Suzuka and Interlagos - the latter where he always seems to excel - fell into the same category. There also was the intriguing facet last season that he put in three strong drives in the direct afterglow of his Le Mans 24 Hour triumph. It gives rise to the possibility that the rest of the time he was letting exasperation of his persistent situation get to him. Perez was often beating him in qualifying too towards the end of the year, so it can't all have been a matter of tyre life. Consistent with the theory also were his slightly sloppy errors in this period, as if trying to force the issue. But with an improved Force India this time and perhaps more pliant Pirellis, the signs are encouraging that he'll be closer to his brilliant best in 2016.